The Carencro Fire Department has recently implemented a new program that allows for real-time tracking of our Volunteers as we respond to emergency incidents. Staff now receives all dispatches via a Smartphone Application, and in turn can log what station they are responding to. The app lets everyone know who is responding, and how far they are from the Station. 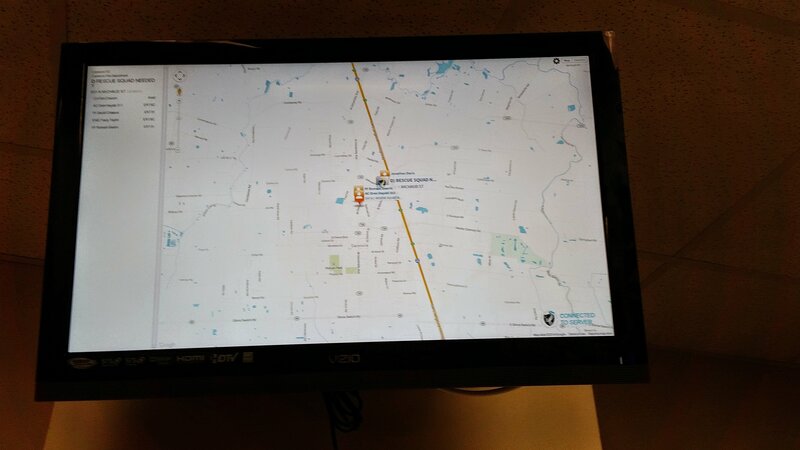 At the Fire Stations, an Incident Monitor displays everyone’s location in real time with their ETA to the Station. It also displays all Hydrants located in the City limits so the closest hydrant can be spotted before we even leave the station. In addition, in the menu bar on the left of the website, a real time log of our current incidents are displayed.